Question 1: I have a stainless steel sink. Will the Splash Paddy® work in my sink? Answer: Yes, Splash Paddy® works in all smooth surfaced sinks. If you have a sink with a rough finish and/or defined lines, the suction cups on the Splash Paddy® will not adhere to the surface and therefore, won’t work. Question 2: Does the Splash Paddy® get in the way when you are washing dishes? Answer: No. 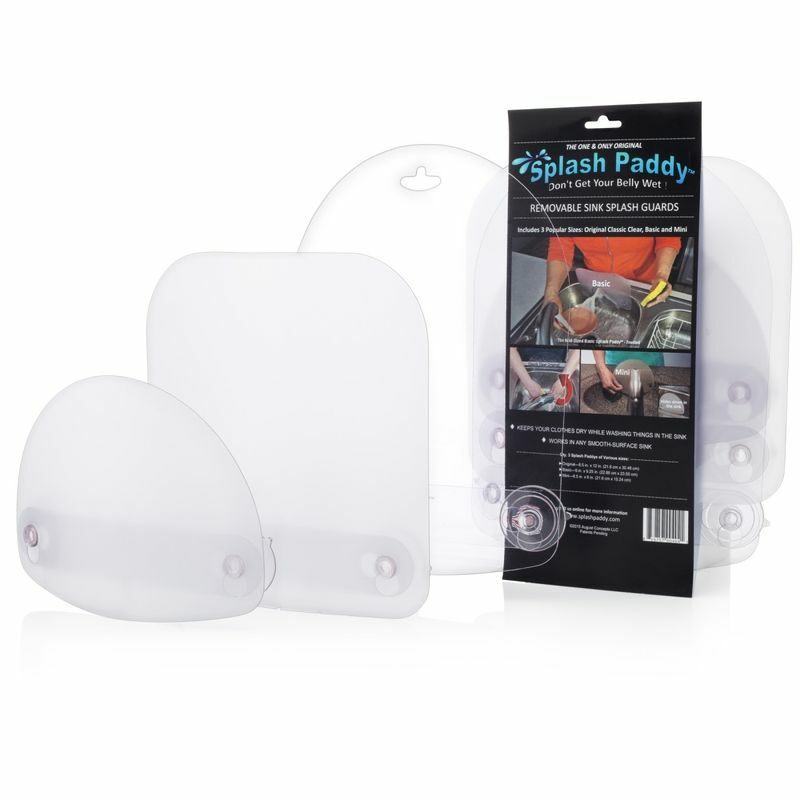 Splash Paddy® has a unique dome-shaped design to help prevent your arms from rubbing the sides of the panel when in use. You can adjust the Splash Paddy® to your individual comfort by adjusting it lower or higher on the sink wall if you feel you are brushing up against the sides of the Splash Paddy®. Question 3: I have a clear Splash Paddy®. Does it come in any other colors? Answer: The Splash Paddy® Original Classic Clear comes with a clear translucent panel. The Splash Paddy® Mini is also only available in clear translucent.